Hannah Bush. Photo by Chris Disla. You’re set to embark on a summer program, and you’ve packed your dance shoes, leotards and tights, accessories and excitement. But did you pack your etiquette? 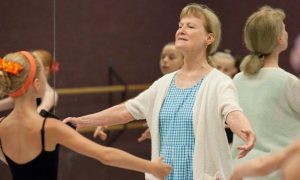 How one should behave in a dance classroom may be second nature for some dancers, but other dancers may never have learned that there’s a proper way to finish and exit from a center combination, or that there’s ideal hand positioning at the barre to accommodate other dancers. In her own frustrations with dealing with etiquette at a summer intensive, dancer Hannah Bush decided she’d write about it. So, with the help of Leslie Roy-Heck, the founder of Bunheads® products, Bush wrote Ballet Etiquette: A Primer and Journal for the Student. The book is designed to be a companion book for ballet dancers of all ages, with topics including attire, attitude, respecting the barre, spatial awareness, leaving class and more. In addition to the sections on etiquette, the book also contains lined pages for students to keep class notes, corrections, new vocabulary, favorite combinations or thoughts for the day. 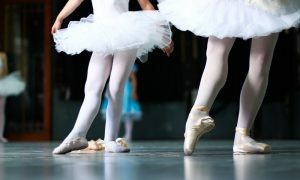 Ballet Etiquette can be easily packed for your summer program or weekend intensive, for easy reference to these helpful tidbits and for a place to jot notes to look back on weeks, even years, from now. For Bush, following her own advice has led to success as a dancer navigating the bustling NYC dance community and in her professional career. 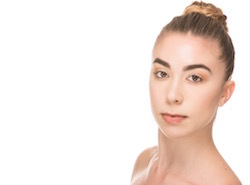 She trained at Myers Ballet School and Northeast Ballet in Schenectady, New York, and has attended summer programs at Saratoga Summer Dance Intensive, Central Pennsylvania Youth Ballet, Orlando Ballet, Masterworks Festival and the Joffrey Ballet School. She has danced with the Ballet Theatre of Indiana, and has toured the U.S. and Europe. Hannah Bush. Photo by Kevin Richardson. In addition, Bush says that journaling has been beneficial throughout her career, as it’s a way to quickly retain new information from teachers, as well as collect memories. 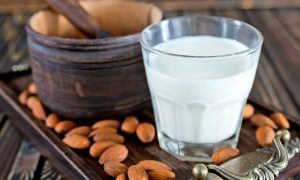 She says she already has nearly eight journals filled with her experiences at summer intensives, combinations she doesn’t want to forget and corrections from her training. As a result, she felt it important to include a journaling section in Ballet Etiquette. Hannah Bush. Photo by Steve Sanchez. Bush is currently editing her first children’s book about a young dancer, which she hopes to turn into a series. Hannah Bush also guest teaches and gives mini seminars on Ballet Etiquette to dance schools across the U.S. If interested in bringing this to your school, contact her at balletetiquette@gmail.com. 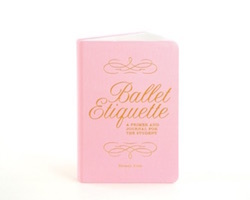 To purchase a copy of Ballet Etiquette, head to www.bplusprintworks.com/ballet-etiquette-journal. And if you’d like to sell Ballet Etiquette at your store or studio, call toll free 844-433-0486 or 518-306-5884, or email balletetiquette@gmail.com. By Laura Di Orio of Dance Informa.